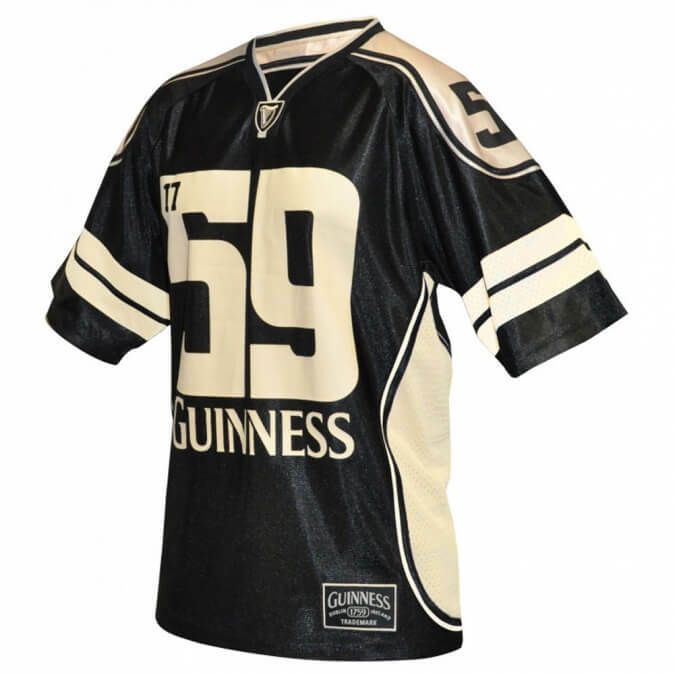 Guinness rugby jersey – Beer and Rugby the perfect combination. 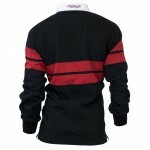 Top quality Guinness rugby shirt with embroidered Guinness branding throughout. 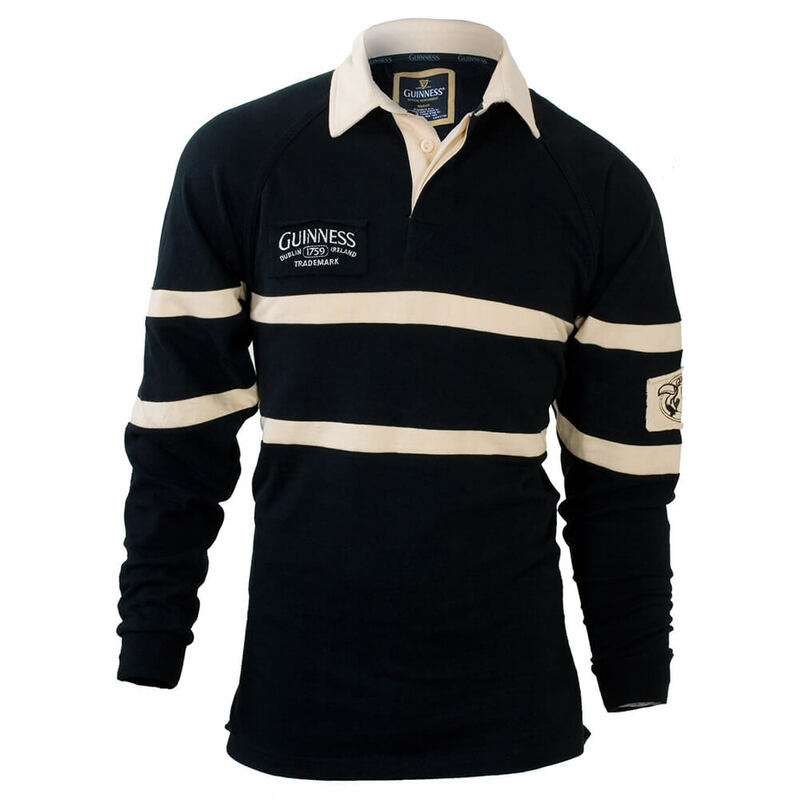 Classic Guinness Beer Rugby jersey. Made from comfortable combed pre-shrunk cotton fabric. 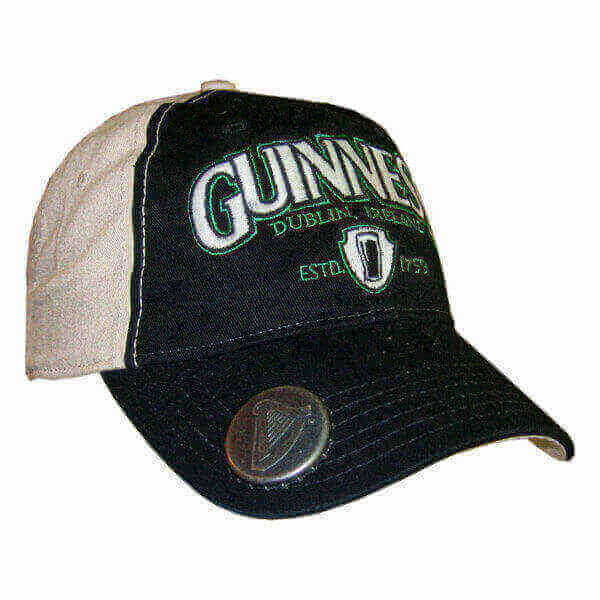 Colorfast technology ensures colors will not blend in wash. Top quality Guinness garment. 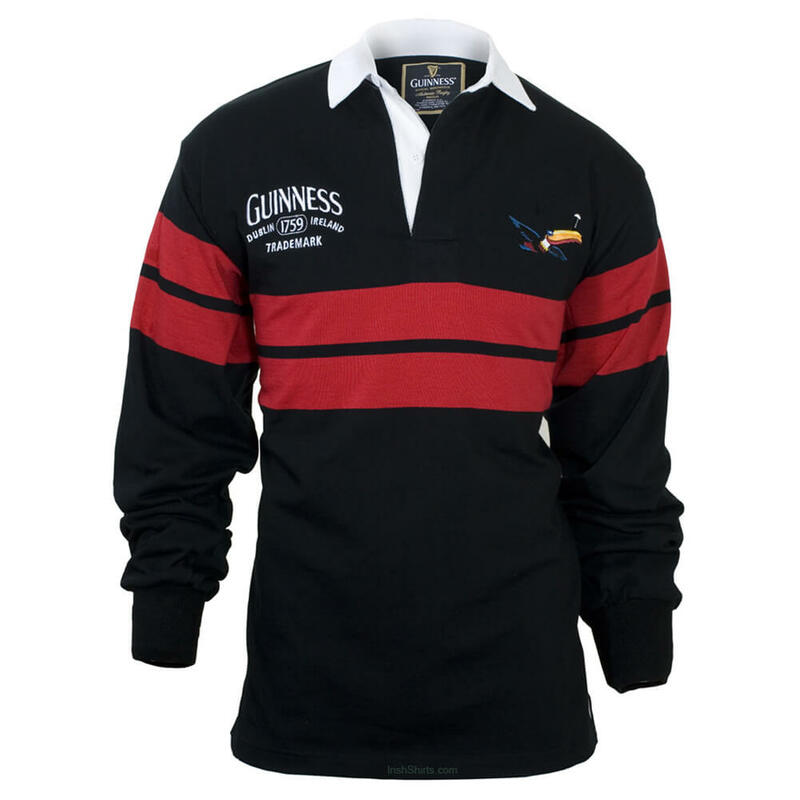 Colorful Toucan embroidered chest patch on front with Arthur Guinness signature embroidered on back collar. Authentic Rubber Buttons and elasticated cuffs for comfort fit. 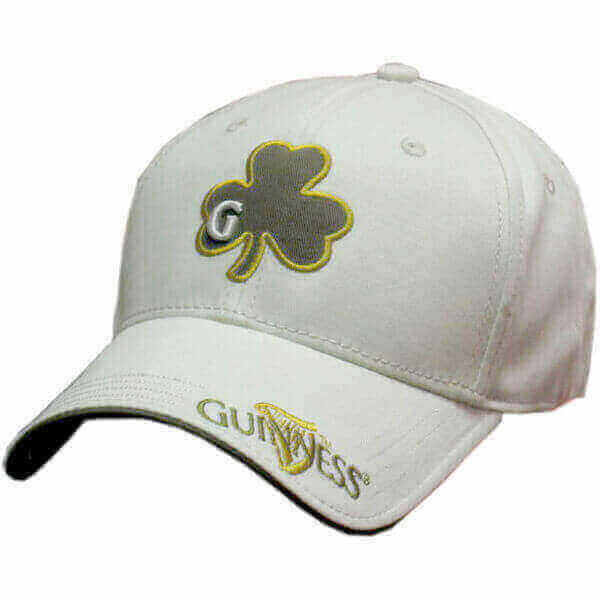 Order your size today.